On July 6, 2018, Pokémon GO, the hit augmented reality game from Niantic and The Pokémon Company, celebrated its second anniversary. Although it no longer has the massive following it had during its release year of 2016, it is still one of the most downloaded games on both Apple and Android systems alike and is played by millions of players all around the world. Since the day it released two years ago, Niantic has been steadily working to improve the game through updates, many of which are game-changing new features. Not only are their hundreds more Pokémon—Pokémon found in the Johto and Hoenn regions are available in GO—there are also a myriad of other new features that Niantic has added to the game that have transformed Pokémon GO into an almost completely different game from its bare-bones state at release. These updates focus on the community aspect of Pokémon GO, with a purpose to reward players for teaming up with others. This is a nod to the core Pokémon series, which is focused on collecting and trading within the community as much as it is on battling. On the heels of this second anniversary, let’s look at all of the game’s fresher features and into its future. Raid Battles: Beginning in late June 2017, Niantic rolled out the first of many community-oriented features into Pokémon GO by introducing Raid Battles. These are a communal battle feature where players work together with others to take down a particularly strong (sometimes legendary) Pokémon. If victorious, participants are rewarded with items as well as a chance to capture the Pokémon. In the fall of 2017, Niantic added a new type of raid: EX raids. These are exclusive battles—players get an invite for a previous victory at the gym hosting the EX raid. These currently have the chance to let players capture the ultra-powerful Mewtwo, but Niantic has confirmed that there will be other EX bosses in the future. 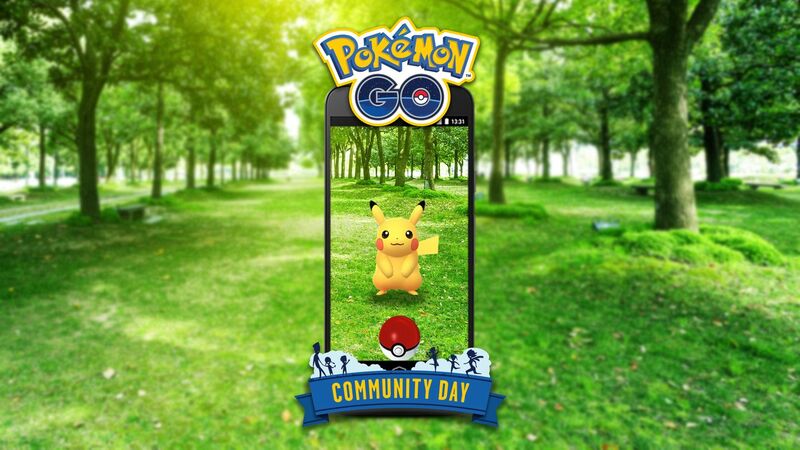 Events: Adding to the community focus of the game, Niantic has done location-specific events encouraging people to gather in one place to play. Niantic has now held official meet-ups for Pokémon GO players all around the world, spanning three separate continents. These began with the admittedly disastrous Pokémon GO Fest in June 2017, but Niantic has been constantly improving them. There are still some issues—one of the most recent being a Safari Zone in Dortmund, Germany, plagued by server issues. The issues were eventually resolved, and the event benefits were extended. Niantic has encouraged players to attend by increasing the appearance rate of extremely rare Pokémon, and unveiling new Pokémon for the first time. Weather: Niantic finally added a real-time weather system to Pokémon GO in December 2017. In-game weather reflects national forecasts, and changes on the hour. Pokémon types are divided up by specific weather conditions, usually two to three Pokémon types per condition. In their weather condition, Pokémon of those types appear more frequently and are stronger when caught. This feature adds a way for rarer Pokémon to appear more frequently and gives players some diversity in the Pokémon they see day-by-day, more than just the usual Rattata and Pidgey. Community Day: In January, Niantic unveiled a special type of event: Community Days. Unlike the other events, these happen monthly all over the world, not just in a specific location. During Community Days, an aforementioned rare Pokémon has a much greater chance of appearing in the wild, often along with its rare, alternate colored shiny variety appearing more commonly as well. Sometimes the Pokémon caught on Community Day will have special moves. These events last for three hours and offer players a chance to add rarer and sometimes unique Pokémon to their collections, a helpful tool for those just starting out or who have only recently started playing again. 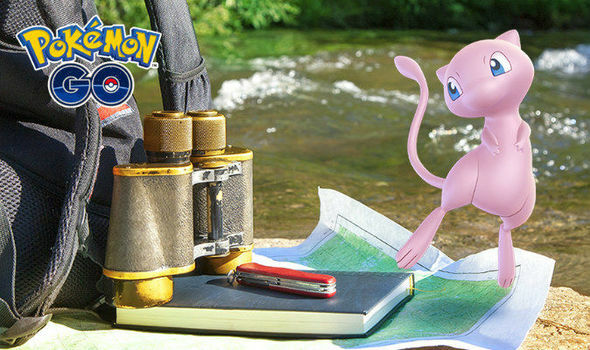 Research: Last March, daily research tasks were added to Pokémon GO in the form of small objectives given from Pokéstops that can reward players with items or even a chance to capture a rare Pokémon. In addition, players can collect a research stamp a day and, after earning seven stamps, get a chance to capture a legendary Pokémon! Research tasks gives players an incentive to play daily and adds a more guaranteed way to get rarer items or Pokémon! There are also special research tasks that award Mythical Pokémon. Currently only Mew is available from special research, but Johto’s Mythical Pokémon Celebi has just been added for GO Fest 2018! Friends and Trading: Pokémon GO’s most recent update was the addition of a long-awaited feature: trading. This, along with a friend system, rolled out at the end of last month. Trading finally gives players the ability to complete their Pokédex by letting them collect all the Pokémon exclusive to certain parts of the world. However, there is a steep cost of Stardust to get Pokémon not in the Pokédex. Stardust is one of the game’s currencies used for strengthening Pokémon that can only be received by catching Pokémon and from the occasional Research quest. This cost can be mitigated by becoming in-game friends with the trainer you want to trade with. Trainers can battle with or send gifts of items or rare Pokémon eggs to another player in-game and rank up their friendship once a day. Once they reach certain ranks, Trainers not only get a reduction in trading costs, but also the ability to get bonuses during Raid battles with their friends. However, even with all these new features, the game is still far from perfect. There are many problems with server lag, especially during events and Community Days, as well as some bugs to be worked out in newer features, like one that affects the growth of friendships between trainers. Some major promised features still remain to be seen, like a player-versus-player battle system, one of the franchise’s essential features. Niantic’s communication with the players, while vastly improved from two years ago, is still not as clear as it should be. Even with these problems, Niantic has taken huge steps in the right direction for improving the game, and their efforts have paid off. Even two years later, Pokémon GO is bringing communities of Pokémon lovers of all ages together in a visible way. If you’re looking to get into (or back into) Pokémon GO, don’t wait! Pokémon GO’s compatibility with the upcoming Pokémon Switch titles, Pokémon Let’s Go Pikachu and Eevee, means that players can use any of the original 151 Pokémon from their Pokémon GO account to help complete their Pokédex and supplement their teams on the Switch. So there’s still reason to become a part of the Pokémon GO community .